Learn how to save your life and the lives of your Family. Learn self and family trauma care. If you have been injured you must be able to apply self aid. If your loved one has been traumatically injured how you respond in the following minutes can make the difference between life and death. You must have the Skills and the Equipment to save them. 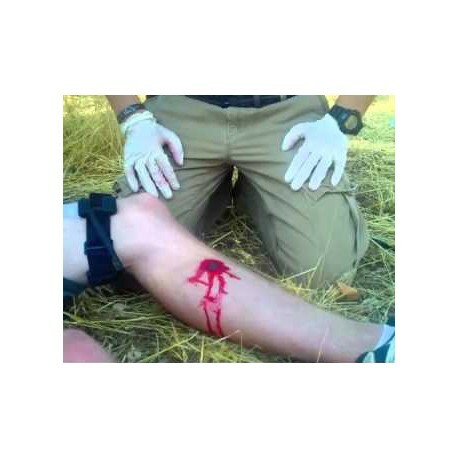 Learn to perform rapid injury assessment, stop traumatic blood loss using the proper Pressure bandage and homeostatic agents, basic airway management, moving a casualty to safety, Tactical First Aid, Go-Bags, Individual First Aid Kits.